If you follow me on social media (especially twitter, I’ve been hanging out there a lot lately) you will know that I have fallen right out of love with Instagram. My love affair with this app started waining when algorithms came into play and despite several little breaks I still haven’t been able to find the joy whenever I’ve logged back in. I started stepping away more frequently and posting less and less and realised that this was about more than just algorithms. Like many of us, I’m not massively keen on the pesky ‘rithms either and they’ve played havoc with my account and engagement but constantly beating myself up about them won’t change a thing so I decided to put them to bed and keep on going. Instead, the biggest thing I’ve been feeling lately is BOREDOM. Gaaah, before you go hating on me ‘I’m fessing up to being guilty of sharing some of these things, at least once anyway ; ) And I hate myself for caving to the pressure and falling into the trap sometimes too! It goes against everything I believe and stand for. I’ve always shared my lifestyle and whatever makes me happy and I want to keep on doing it that way. The problem is these pics are pretty much guaranteed to get you likes, so the desire for people to keep on sharing them is tempting. And in my humble opinion this is quashing creativity and killing the freedom of posting whatever you like just because you love it. Feeling inspired by each other is a positive thing, feeling pressured to follow a formula and buying up all the peonies in town for a photo opportunity and likes is another. It seems it wasn’t just me feeling bored. 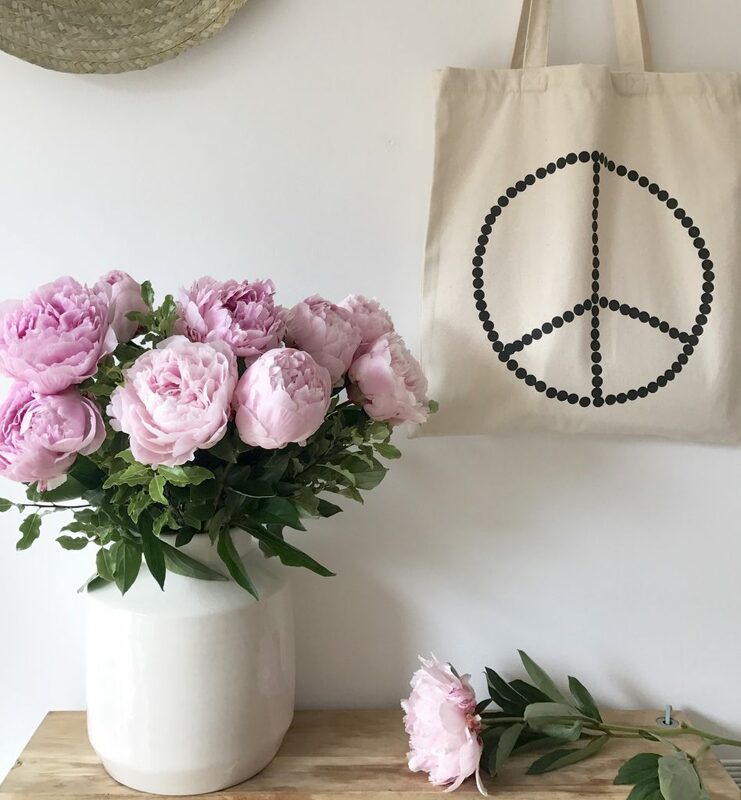 I know this because a couple of weeks ago, I (bravely) opened up the conversation on twitter using peonies as an example and the response was huge. And then again earlier this week I was ‘braver’ and shared a whole load of stuff about it on my insta stories and blimey, firstly I wasn’t expecting people to love my Brummie accent quite so much and secondly, I have never had so many responses to a story EVER! like blow me away, a serious amount of people reaching out feeling exactly the same. Hundreds and hundreds (I’m showing off now) of followers (and non followers interestingly enough) reached out and sent me messages expressing the same thing and the messages are still rolling in! This is something I’ve been feeling for a long long time but I felt a bit nervous about sharing it for fear of offending an army of diehard peony lovers and my intention is never to criticise anyone for doing what they choose. But sometimes you just need to be brave and say exactly what you’re feeling because usually there’s a whole lot of people feeling the same way too. Well, we can either give up on an app that we once loved (and I’ve been very tempted lately) or keep on posting the same old same old til it dies out anyway or we can change the way we use it and bring back some of the joy that seems to be missing. I’m opting for bringing back the joy of posting freely : ) and I’ve got a little something up my sleeve to kick start the action in the shape of a nifty FREEDOM shaped photo challenge… I’ll be revealing more over the weekend here and on my insta so stay tuned for more updates! Alison – totally agree with you! Every photo is stylised and has the perfect palette, it just drives me mad! I even did a course on how to make my insta feed more pretty and get myself more followers! And then I had a word with myself and stopped it. Because LIFE is beautiful, in all its un-stylised messy unfiltered glory. Can’t wait for the photo challenge. Thank you for being brave and bold enough to speak up and start the change! Down with peonies! But I LOVE “Greenhouses. Fog. Linen tea towels” and the brilliantly described “Branches with things hanging off”! Is that wrong? I love seeing them in other people’s galleries, and I post them myself because they make me happy. My account is private so I’m not doing it for followers. And as for peonies … Well, when one of mine flowers despite my very challenging growing conditions .. . I post a photo of it. Oh dear. Not wrong at all if it makes you happy! 🙂 keep on sharing and enjoying what you love.